Here's what's new today and coming in March, including new Callaway equipment the start of the 2019 Virtual U.S. Open! Get the latest driver from Callaway to add more forgiveness and distance off the tee. 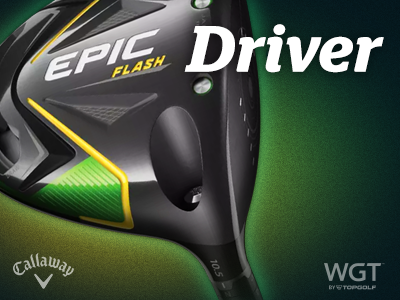 The Callaway Epic Flash Driver is available now in the WGT Pro Shop, unlocking at Level 29, Level 44 and Level 94. The Virtual U.S. Open is back for the 11th straight year on WGT! 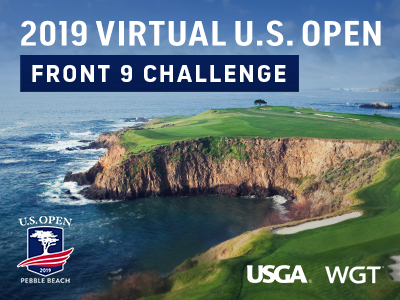 Starting 3/1, compete in the Virtual U.S. Open Front 9 Challenge tournament on Pebble Beach, host of the 2019 U.S. Open Championship. The road to the Virtual U.S. Open Qualifier (coming in May!) starts with this 9-hole closest-to-the-hole tournament on the always beautiful Pebble Beach course, where you can play as many times as you want to post your best score. 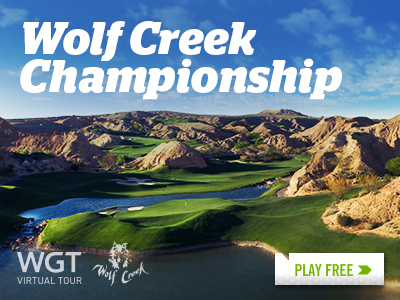 Starting 3/1 compete in the Wolf Creek Championship, the first Major tournament of the 2019 Virtual Tour. This is the third and final tournament of the Jan-Mar Quarterly Season, on the newest WGT course, featuring an increased total purse prize of 250,000 WGT Credits. Post your best score by 3/25 to move on to the single-play final rounds (3/26-3/28 and 3/29-3/31). The top 70 combined scores in each Pro-Tour Champion tier will split the total purse prize, plus the winning players in each tier of each monthly tournament will display a new "reigning champion" icon next to their player name through the following month. These Clubs Are Going Away Soon, So: Flash Sale! 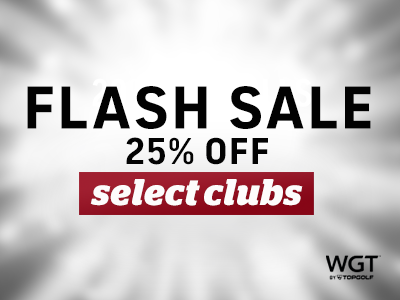 We're cleaning out the Pro Shop, so select clubs are 25% off, now through Tues, 2/26. Call it a "warehouse" or "last chance" sale – either way, this limited time flash sale is your chance to pick up any of the virtual golf clubs that are being removed from the WGT Pro Shop next week! If you've had your eye on any of these clubs, now's the time to add it to your bag as we clear out our inventory to make room for some new selections. *This flash sale applies to virtual golf clubs that are being removed from the Pro Shop, available now through 2/26/19. Available on WGT.com and WGT Golf Mobile. 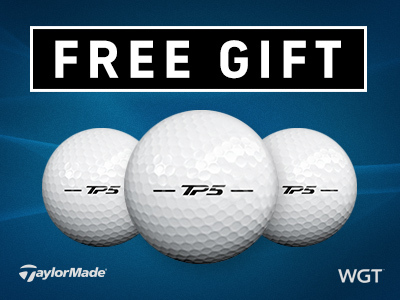 Get 3 free TaylorMade TP5 virtual golf balls today when you buy 2,000 or more WGT Credits! We've got some big tournaments coming your way in March, so get your golf bag ready with these premium virtual golf balls to improve your game. *Special offer for players that buy 2,000 or more WGT Credits now through 2/22/19 and get 3 free TaylorMade TP5 virtual golf balls (L47+). 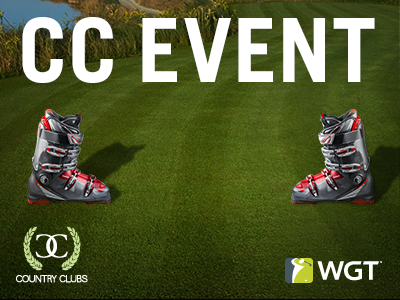 Compete now in CC Event #93 through Fri, 2/22 to win these ski boot tee markers and flags! Winter storms are happening all over the U.S. right now, so wherever you are think sunny winter thoughts while you compete in this week's event. CC Event #93 runs 2/21-2/22 with multiple 4-hour Clashes, so be sure to play as many games as you can for your club and keep your eyes on the leaderboard. 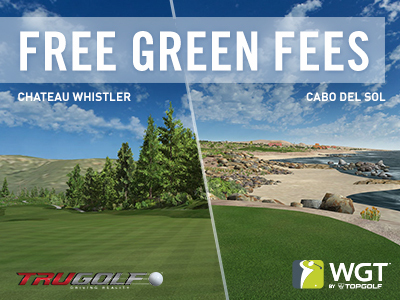 Celebrate the long weekend with a round on Cabo del Sol or Chateau Whistler – both free through Mon, 2/18! Now's your chance to play Cabo del Sol and Chateau Whistler with no green fees, to experience the challenges (and views) yourself, without the normal green fees. *Special offer available to all wgt.com players, play virtual golf courses Cabo del Sol and Chateau Whistler, with no 18-hole stroke play green fees from 2/16/19-2/18/19. Note, these courses are not currently available on WGT Golf Mobile. Free Hearts for Valentine's Day! Log in today and get free Heart Ball Effects to celebrate Valentine's Day! 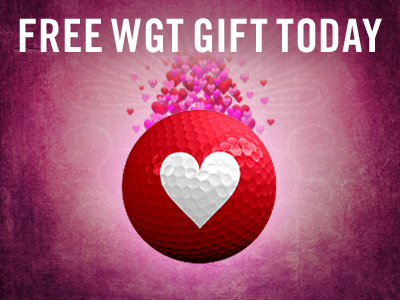 When you play WGT today, we'll give you 50 free hits of the Heart Ball Effect – to add a smooch sound and fluttering heart vapor trail to all your shots. PPS: Your free gift will be added automatically to your inventory, just click the ball effects icon (magic wand) in-game to turn them on or off! *Special offer available to WGT players that log in on 2/14/19, receive free Heart Ball Effects (50 hits). 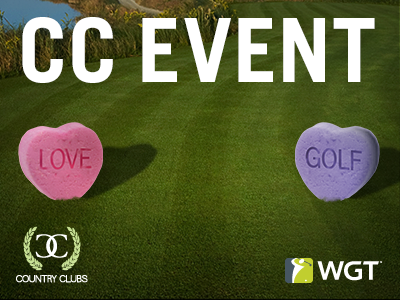 Compete today through Fri, 2/8 to get your Valentine's Day treat early, in the form of these candy heart tee markers and flags. CC Event #92 runs 2/7-2/8 with multiple 4-hour Clashes, so be sure to play as many games as you can for your club and keep your eyes on the leaderboard.